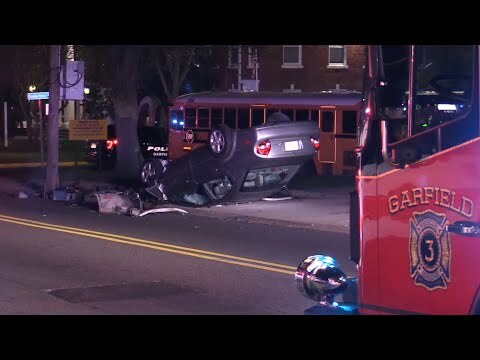 WAYNE, N.J. – A 9-year-old boy was critically injured Thursday in a Wayne crash involving five cars that police said was caused by a drunk driver, authorities said. A Mercedes GLK 350 driven by 58-year-old Gina Damario-Aubin of Wayne was headed east on Ratzer Road when it struck a Toyota Sienna from behind, pushing it into three other vehicles in traffic, just before 6 p.m., Lt. Daniel Daly said. The Mercedes then left the roadway and came to a stop in a nearby driveway, he said. The boy, who was sitting in the back of the Sienna was unconscious at the scene, the lieutenant said. First responders administered first aid until paramedics and EMTs arrived and took over, he said. The Wayne Memorial First Aid Squad took the boy to St. Joseph’s Regional Medical Center in Paterson, Daly said. Damario-Aubin, meanwhile, “displayed signs of impairment at the scene” and was charged with DWI and reckless driving, he said. Daly asked that anyone who saw anything that could help detectives call he Wayne Police Department Traffic Bureau: (973) 633-3520.